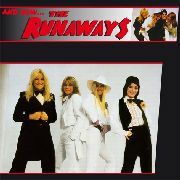 Although they never broke through to mass success, the all girl Runaways did make a major mark on the rock field and in doing so laid the foundations for other all girl groups like the Go Gos, Girlschool and The Bangles to build on as they knocked down the doors of prejudice of the then traditionally male dominated rock world.1978s And Now.The Runaways was the bands fourth album in just two years and their first not to be produced by svengali Kim Fowley. Joan Jett and Lita Ford (now both the ripe old age of 20!) would soon part ways to pursue solo careers, and both would go on to become huge stars in the following decade. Tracklist - SIDE A: 1. Saturday Nite Special 2. Eight Days A Week 3. Mama Weer All Crazee Now 4. Im A Million SIDE B: 1. Right Now 2. Takeover 3. My Buddy And Me 4. Little Lost Girls 5. Black Leather.